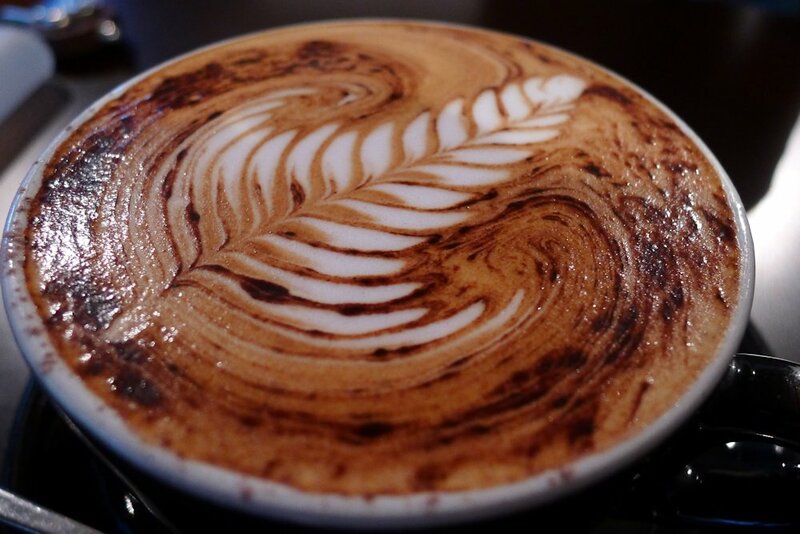 Joe Black has been around for a while, earning many fans thanks to their outstanding food and dedication to the art of coffee in all its forms. Now, a change is in the air as it has recently been bought by the owner of another café that I have just recently reviewed: The Bunker. So while you should take this week’s review with a grain of salt (because the menu is changing completely), I have no doubt that unlike other recent café handovers that haven’t gone down so well, Joe Black will evolve into something just as special as its former self. The outside seating is barely worth mentioning but the interior is spacious and eclectic. 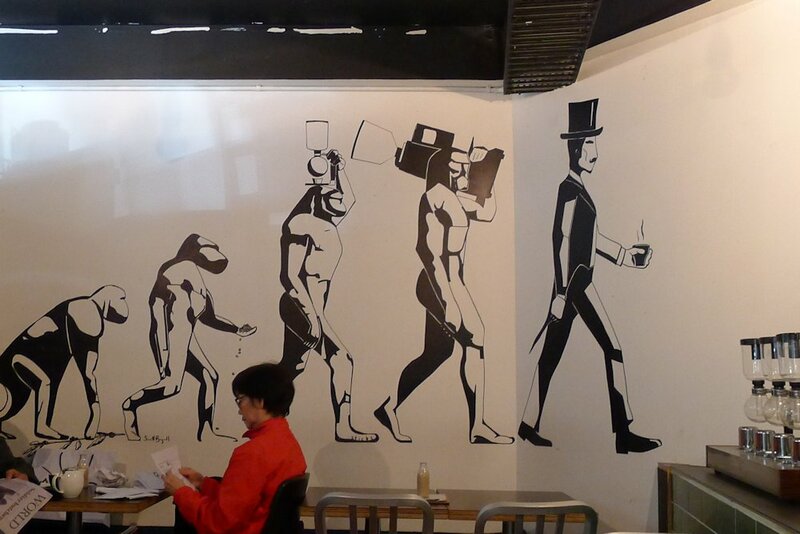 You’ll find the designers have a sense of humour with quirky signs and artwork. The humour spills into the menu too. I found the staff to be friendly and welcoming. Everyone is greeted warmly and with apparent genuine interest! This is actually coffee ($3.50) I could become addicted to; without doubt the best cups I have sampled for a few years. Come and be impressed. The affogato ($5.50) is gaining popularity around Sydney and you’ll also find cold drip ($4.50) and chilli hot chocolate ($5) amongst others adding some uniqueness to Joe Black’s beverage list. It’s amazing how different one drink can be. 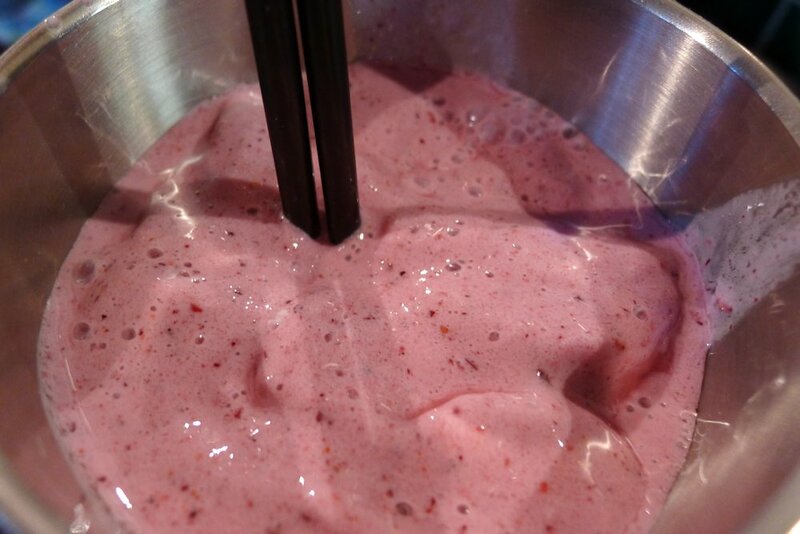 There is only one smoothie ($6) at Joe Black and that is the berry. This version is extremely thick and filling. It’s full of fresh fruit and perhaps more suited to a summertime review but I find it hard to resist when I see one on a menu. Definitely worth a try. 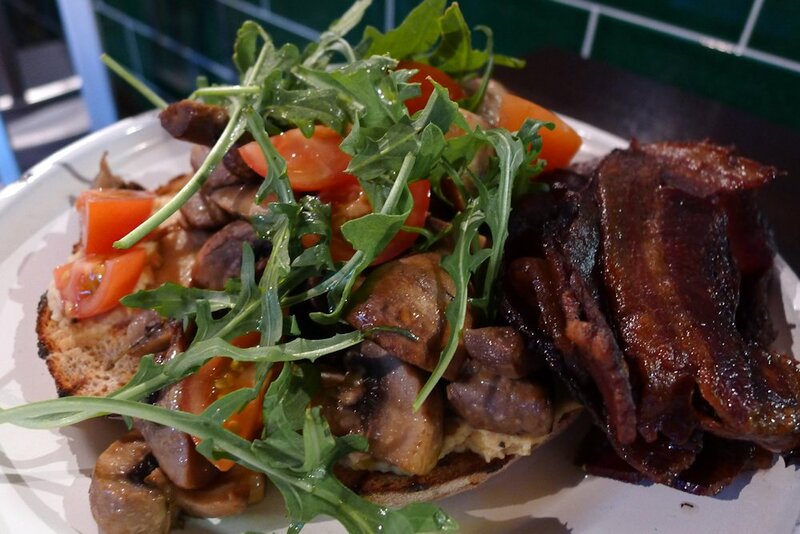 The tragic magic ($12) features mushrooms, tomatoes and rocket atop a thick layer of hummus on rye bread. We requested the bacon crispy and this was one place that really took our request to heart! Very crispy bacon was produced and just like the coffee here, it was one of the best examples I’ve tried. It was quite thin but smoky and tasted great. The mushroom were cooked just right with enough seasoning not to overpower the flavour or the hummus. The Storming Norman (one egg $12.50, two eggs $13.50) is pretty much a bruschetta. 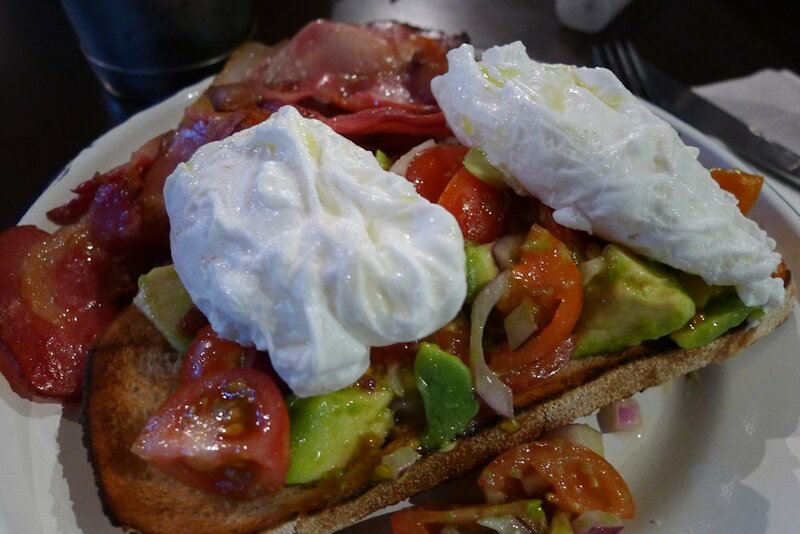 The mix of cherry tomatoes, avocado, Spanish onion and balsamic mixed beautifully with the runny yolk of the poached eggs. I ordered bacon on the side which was, as I’ve said, a winner. Some steak knives would come in handy though for the toast and thin bacon! 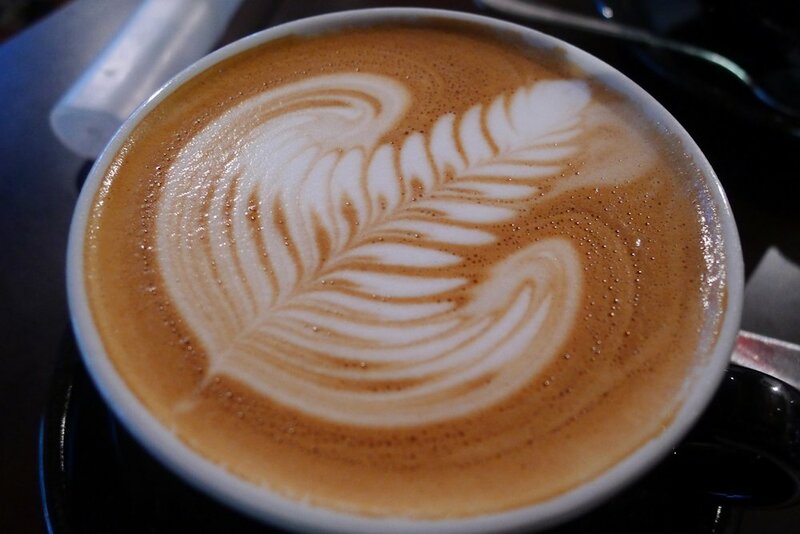 I will definitely be heading back to Joe Black soon to see how things have changed and to enjoy more of the outstanding coffee. I’ll hold back from going through the dishes on the menu due to the changes… you’ll have to wait for the re-review or drop by yourself and let us know what you thought! 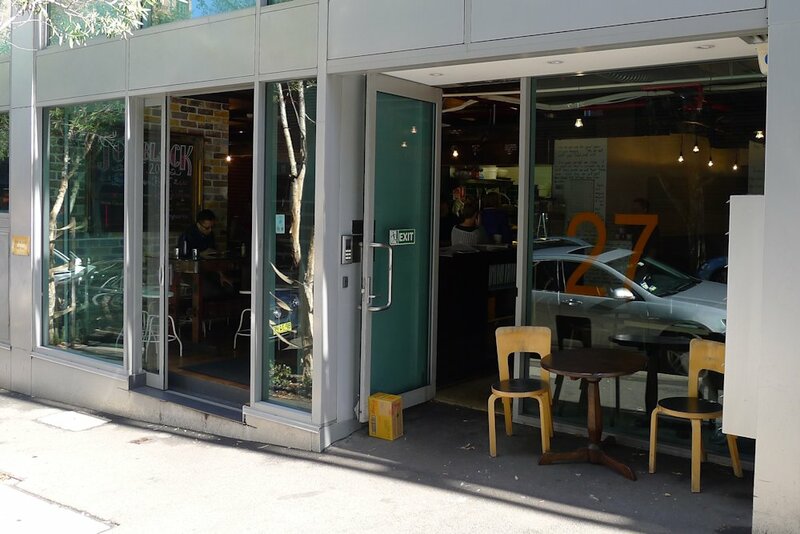 This entry was posted in Sydney - CBD and tagged Reasonable prices. Bookmark the permalink.